Audible and perceptible click when the torque setting has been attained, automatically resets for next torque cycle. Overall length / OAL: 133 mm (5.2")Compatible Blades with Phillips tips, Slotted tips, Torx tips, and more. This is a great tool. I only wished it would come with a 1/4” bit holder but that has to be ordered separately. Other than that it’s a great product. Great service in receiving this tool. Package complete as ordered and tool in great shape. Wish though, it came with 1/4" instead of 4mm, attachment. Very good quality and a very user freindly product in a compact design. For the price this tool is WAY better then the cheapo Chinese junk. I bought this to mount my scopes on my guns along with other gun accessories and it works perfectly. Make sure you get the 1/4 bit holder for it because it only comes with the micro bit holder unless you plan on getting the micro bits. I highly recommend this tool. KC Tool customer service recommended the Wiha 10-50 in-lbs torque screwdriver after explaining my requirements to them. 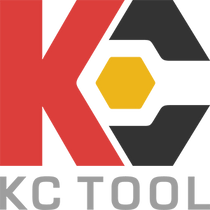 I called KC Tool after having to return 2 defective torque screwdrivers I previously purchased from another vendor. KC Customer service was very knowledgeable and recommended exactly what I needed. The Wiha unit is very high quality and functions perfectly. It is an incredible value for the price. Quality tool works as advertised would give it 5stars if it wasn"t so pricey. Wiha 28791 8 Piece Insulated Slotted and Phillips Torque Screwdriver Set 10-50 in-lbs.